The soon-to-be home of aether on Frankford Avenue. 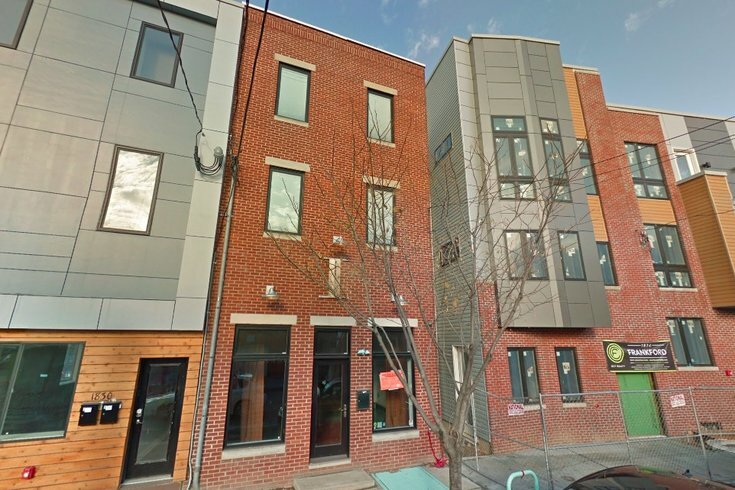 The team behind Mistral, the popular Princeton restaurant with a more recent outpost in King of Prussia, is venturing into the Philadelphia market with aether, a seafood-focused Fishtown restaurant slated for 1832 Frankford Ave. The space on Frankford Avenue continues getting revamped for the opening, as detailed on aether's Instagram. Remark Glass, the Philly-based recycled glassware makers, is part of the team conducting the redesign. Local woodworker and designer Kirk Loubier leads the way for the new banquets, tables, and shelving. The menu will focus on fresh, seasonal ingredients local to the area. Some features include a raw bar, including oysters, live scallops, and razor clams, as well as lobster rolls, shrimp po' boys, crab linguine, and daily fish specials. Though seafood is the main event, vegetarians will have a fair share of choices, including spinach and mushroom cavatelli and the fried green tomato sandwich. The drink menu will feature bio-dynamic wines on the more affordable end of the spectrum, plus a variety of Mezcal options. "We want the restaurant to feel like home for locals, and a neighborhood destination for visitors," said operating partner Fia Berisha in a statement. Berisha will also be assisting aether's chefs with recipe and menu development. The restaurant is scheduled to open later this summer.